Keep up to speed with the Stow and Go Cart. 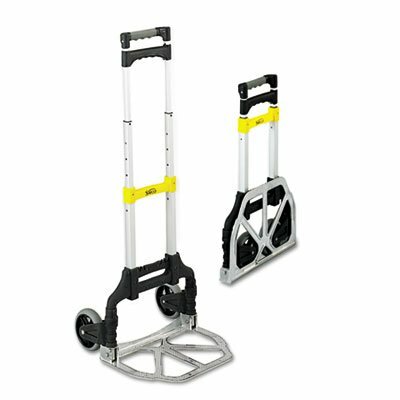 The lightweight aluminum frame makes it ideal for sales staff, travelers and small offices. 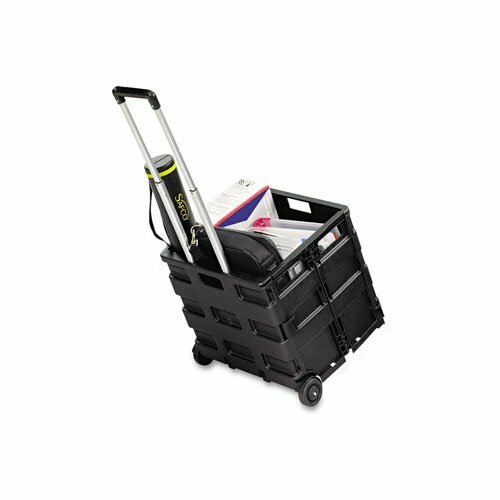 The Cart's collapsible design lets it fit into small spaces for compact storage. 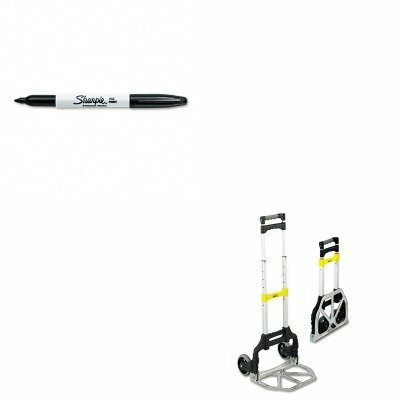 Features include: telescoping handle, solid rubber retractable wheels, a fold-up toe plate and 110 lb. carrying capacity. Ships fully assembled. Folds flat for compact storage. Features telescoping handle, retractable wheels and fold-up toeplate. Colors: Aluminum Capacity text: 110 lbs Overall Dimensions: 15 3/4 x 16 1/4 x 39 1/2 Folded Size: 15 1/4 x 2 1/2 x 25. Folds flat for compact storage. Features telescoping handle, retractable wheels and fold-up toeplate. Color(s): Aluminum; Capacity (text): 110 lbs; Overall Dimensions: 15 3/4 x 16 1/4 x 39 1/2; Folded Size: 15 1/4 x 2 1/2 x 25. Keep up to speed with the Stow and Go Cart. 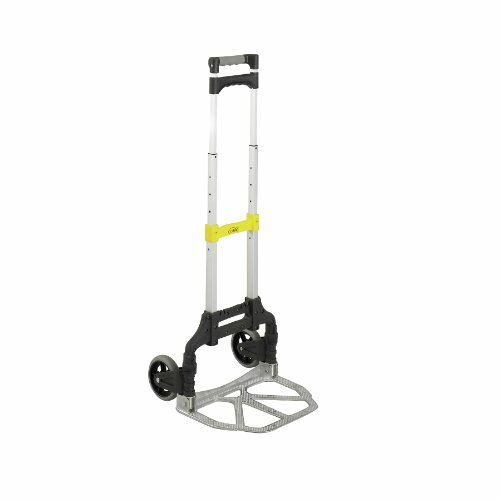 The lightweight aluminum frame makes it ideal for sales staff, travelers and small offices. 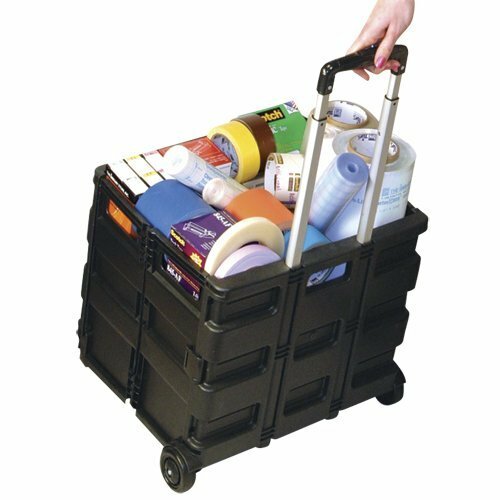 The Cart's collapsible design folds down to the size of a briefcase to fit into small spaces for compact storage. 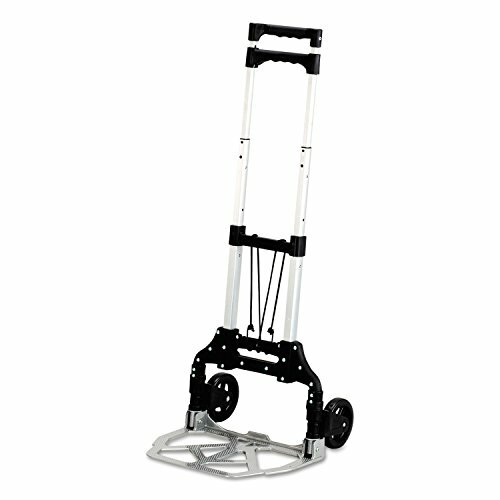 Features include: telescoping handle, solid rubber 5" retractable wheels, a fold-up toe plate. Rated up to 110 lbs. carrying capacity. Lightweight aluminum frame, Ships fully assembled. Lightweight aluminum frame folds down to the size of a briefcase, fitting under car seats and airplane overhead compartments. 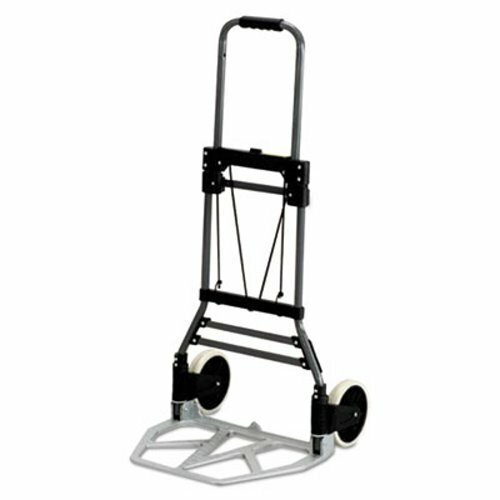 Features telescoping handle, retractable wheels and fold-up toeplate. Ships fully assembled. lt;stronggt;SAF4049lt;/stronggt;lt;BR/gt;Safco Stow amp;amp; Go Cartlt;BR/gt;Folds flat for compact storage. Features telescoping handle, retractable wheels and fold-up toeplate. Colors: Aluminum Capacity text: 110 lbs Overall Dimensions: 15 3/4 x 16 1/4 x 39 1/2 Folded Size: 15 1/4amp;quot; x 2 1/2amp;quot; x 25amp;quot;.lt;BR/gt;lt;BR/gt;lt;stronggt;SAN30001lt;/stronggt;lt;BR/gt;Safco Stow amp;amp; Go Cartlt;BR/gt;This fine tip permanent marker is the original Sharpie. Permanent on most hard-to-mark surfaces. Quick-drying ink is waterproof, smearproof and fade-resistant. Marker Type: Permanent Assortment: N/A Colors: Black Tip Type: Fine. 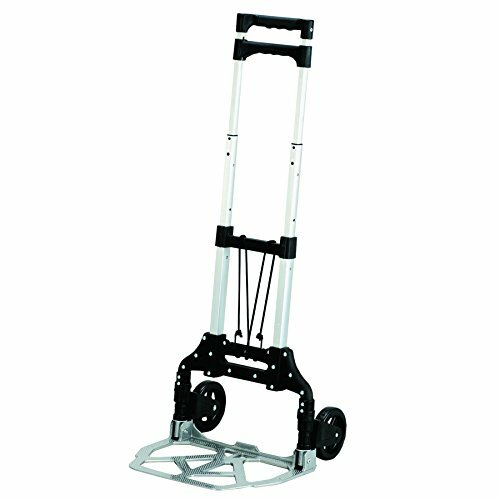 Compare prices on Safco Stow And Go Cart at ShoppinGent.com – use promo codes and coupons for best offers and deals. Start smart buying with ShoppinGent.com right now and choose your golden price on every purchase.